Accessibly written and containing practical exercises to complement each chapter, this text will equip the reader to a better understanding of the force and attraction of contemporary Christian feminist theology. 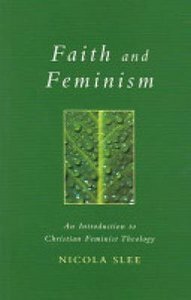 - Publisher This book provides the ideal introduction to how the insights of feminism can impact Christian faith, giving an overview of the most significant feminist theologians and texts. This book will help readers gain a better understanding of the force and attraction of contemporary Christian feminist theology. - Publisher The ideal introduction to feminist theology, giving an overview of the most significant feminist theologians and texts. This book provides the ideal introduction to how the insights of feminism can impact Christian faith, giving an overview of the most significant feminist theologians and texts. This book will help readers gain a better understanding of the force and attraction of contemporary Christian feminist theology. The ideal introduction to feminist theology, giving an overview of the most significant feminist theologians and texts.